Joe Holm is a CSA Trailblazer. 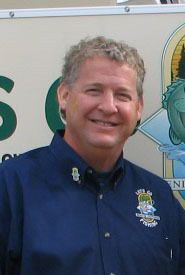 He is president and executive director of Let’s Go Fishing of Minnesota, a 501(c)3 non-profit organization, and a member of the Million Dollar Round Table. After a successful career in the financial services industry as a regional district manager, Joe made a career change. Seeing the need to give senior citizens the chance to get out on any of Minnesota’s beautiful 10,000 lakes, Joe reassessed his life priorities and founded the Let’s Go Fishing nonprofit in 2002. Life-threatening medical conditions in his wife and daughter made Joe realize life was about so much more than “me, myself and I.” He made a commitment to give back to those who had given so much. For numerous reasons, many seniors can no longer get out on area lakes and rivers. Some have lost their life-long fishing partners, others lack the gear and tackle or the knowledge of where to go. Health and physical stamina are also barriers. Let’s Go Fishing was designed to help. With a small group of volunteers, the first chapter board was established in Willmar, Minnesota in 2002 and took out more than 350 seniors. Over the next 10 years, Let’s Go Fishing grew to more than 2,100 volunteers in 28 chapters taking almost 20,000 people per year out on Minnesota lakes and rivers. Now that’s living a dream. From stacks of thank-you letters to smiles from individuals as they leave an outing, it is obvious that Let’s Go Fishing is changing lives and impacting people. As one resident from a care center pointed out, “You have no idea how much this means to me! I was so looking forward to getting out on the water; I even had trouble sleeping last night,” said Marie Freese, a 101-year-young guest of Let’s Go Fishing. The year 2012 promises to be another exciting one for Let’s Go Fishing. The mission field has expanded to include grandparents with their grandkids, veterans and youth. Let’s Go Fishing continues to find new opportunities to serve and continues to grow. With people too busy to even take their kids fishing, Let’s Go Fishing has developed a Youth Class to pull kids away from TV and technology and teach them how to fish. Then, the area chapters give the kids a true “on the water” experience with their own equipment. The future is bright for Let’s Go Fishing, with eventual expansion into the five-state region. Given the passion and fortitude Joe Holm has for leading Let’s Go Fishing, the best is yet to come. If you would like to bring a Let’s Go Fishing chapter to your area, give Joe a call at 320-905-7711 or visit the website www.lgfws.com.